This 17 Day Tour is the great mixture of on and off-road ride that covering almost the beautiful landscapes in North Vietnam with Ba Be National Park, Ban Gioc waterfalls, Dong Van – Ha Giang Rock plateau, Sapa… and the most interesting parts of the Ho Chi Minh trail with DMZ. 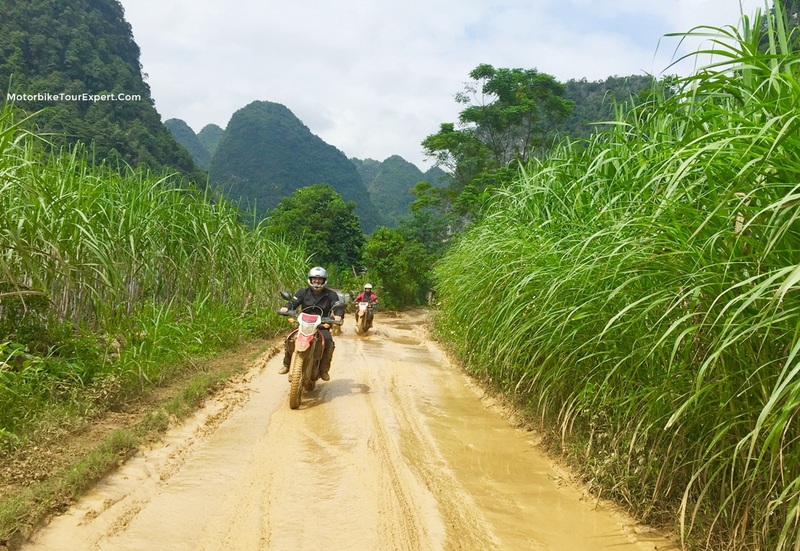 The northern Vietnam part offers more off-road ride and culture discovery and the southern part on the Ho Chi Minh trail is easier ride offering more historical sites to learn more about the Vietnam history and the Vietnam war. Leaving Ha Giang city at around 8:30 am, we’ll shortly take the small roads to have easy and slow ride through villages…Lunch in little town of Luc Yen. 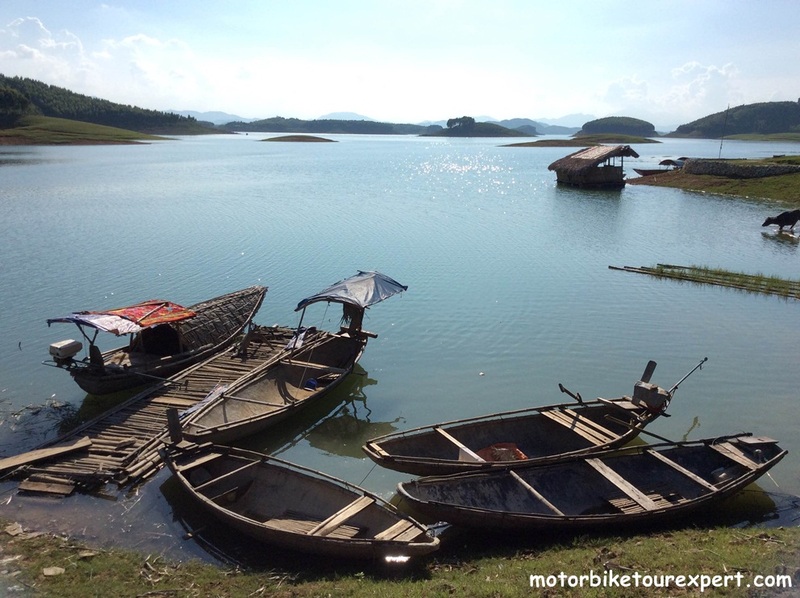 After that we will ride along the side of the largest man-made lake in Vietnam – Thac Ba lake, we’ll stop the ride at the quiet village nearby the lake then spend one and a half hour to scruise around this beautiful lake. Stay at a house on stilts with the Dzao people. 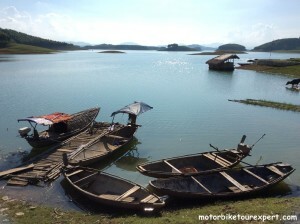 There are few options for the relaxed day in Sapa. 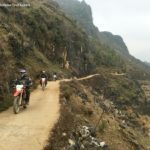 We can have short walk around the town or take a cable car up to higheast peak of Vietnam – Fanxipan or have another easy and short ride along the beautiful Muong Hoa valley to see some other villages of the H’Mong, Zay or Tay people. 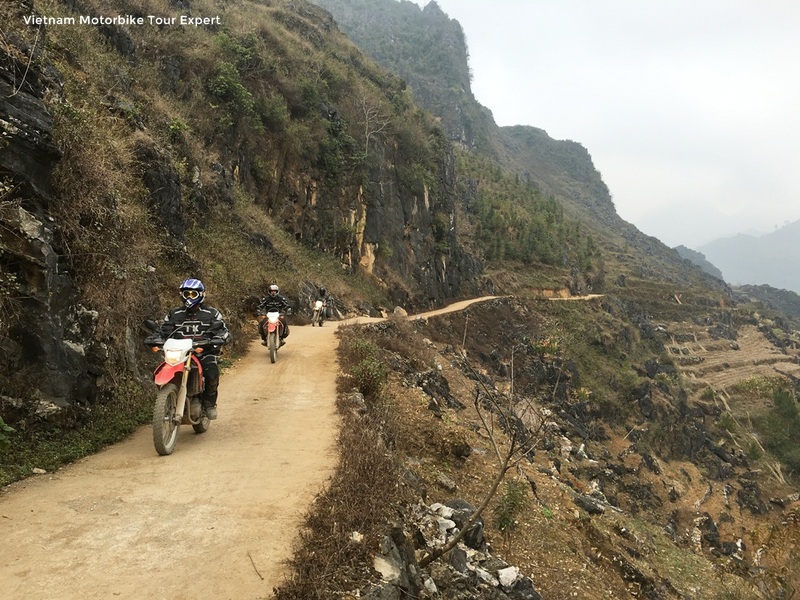 Stay in Holel in Sapa. must be one of the best motorcycle tours on coastline Vietnam. We will be in Da Nang city at around 2: 00 pm. 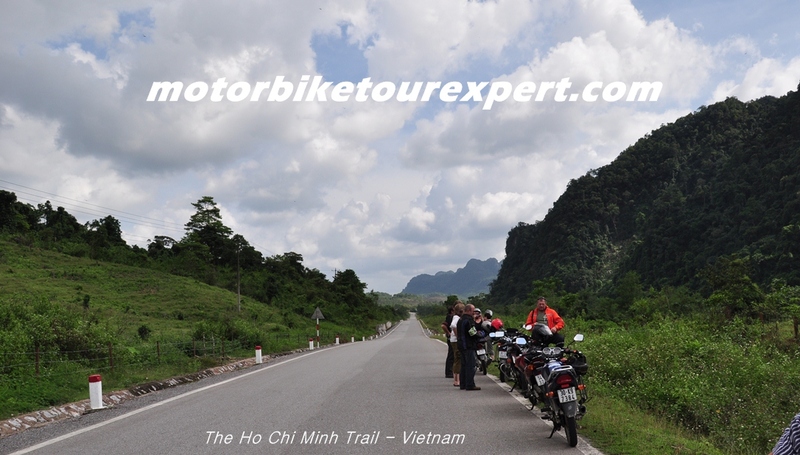 You can choose to stay in coastal city of Da Nang or keep riding around 30 km more to Hoi An ancient town before ending up and say good bye to the Vietnam Motorbike Tour Expert guide team. 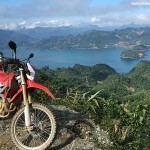 Please tell us the bikes you would like to ride and how many people in your group then we will give you the right price!